Welcome to the Swedish Atlantic Council! The Swedish Atlantic Council is a non-governmental association. Its purpose is to promote a broad and well-informed debate about the conditions and objectives of Swedish security policy. The Council places particular emphasis on the role of Sweden, as an EU member, as a close partner to NATO and the need for a stronger transatlantic link for peace and security in Europe and beyond. 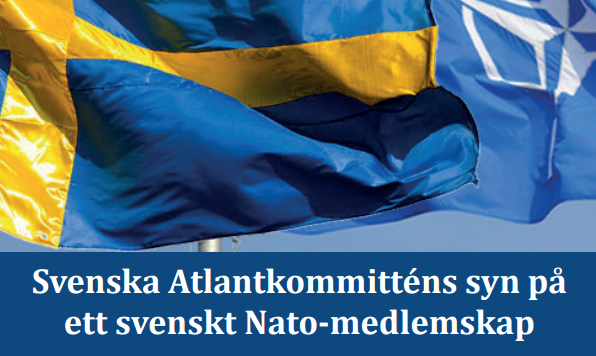 The Swedish Atlantic Council is a member of the Atlantic Treaty Association, which is based in Brussels and represents 37 national associations in Europe and North America. The Atlantic Treaty Association aims to strengthen the transatlantic link and promote the values of the North Atlantic Treaty such as peace, freedom, security and democracy. Swedish Atlantic Council conducts its activities in various forms, including through conferences, study tours, outreach activities and publications. The traditional Atlantic pubs have been held for many years. Speakers, among others, have been the commander in chief, diplomats, academics and journalists. In recent years, the Council has arranged a series of conferences with inter alia Society and Defence, the National Defence College, foreign embassies and NATO Public Diplomacy Division. The Round Table format is, as the name suggests, a discussion forum with a smaller circle of participants. It has usually been carried out in cooperation with the National Defence College. This form of mini-seminars on a selected country usually take place in the respective country’s embassy with lectures by for example an ambassador or a national expert with subsequent discussion and mingle. Representatives of the Atlantic Council regularly visit their sister societies in Europe and participates in international conferences. To take advantage of SAKU ’s events send an email to gustaf.gothberg@moderat.se. Information about SAKU is also available on Facebook in Swedish Atlantic Council and Twitter. Associate, Professor of Political Science, Copenhagen.